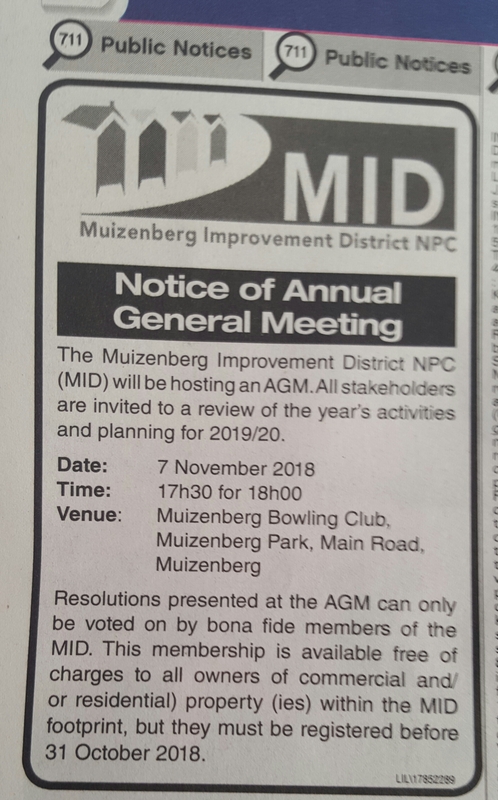 Join us on 7 November at 18:00 for our MID Annual General Meeting at The Muizenberg Bowling Club, Muizenberg Park, Main Road, Muizenberg. Registration commences at 17:30. 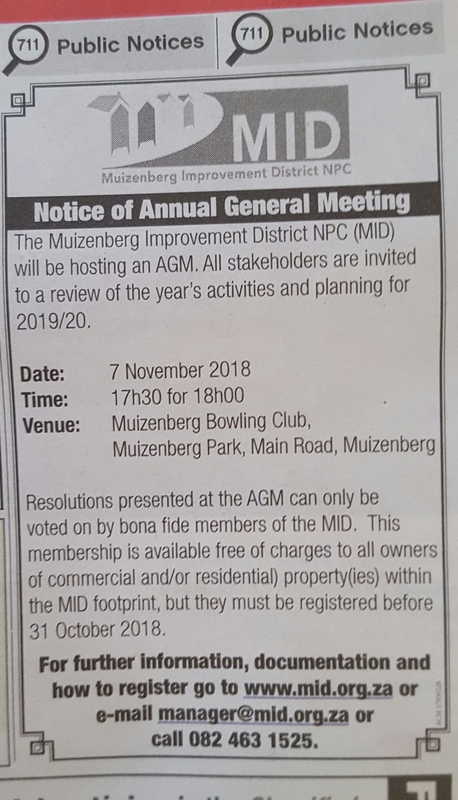 We will need 20% of our membership present to constitute a quorum. 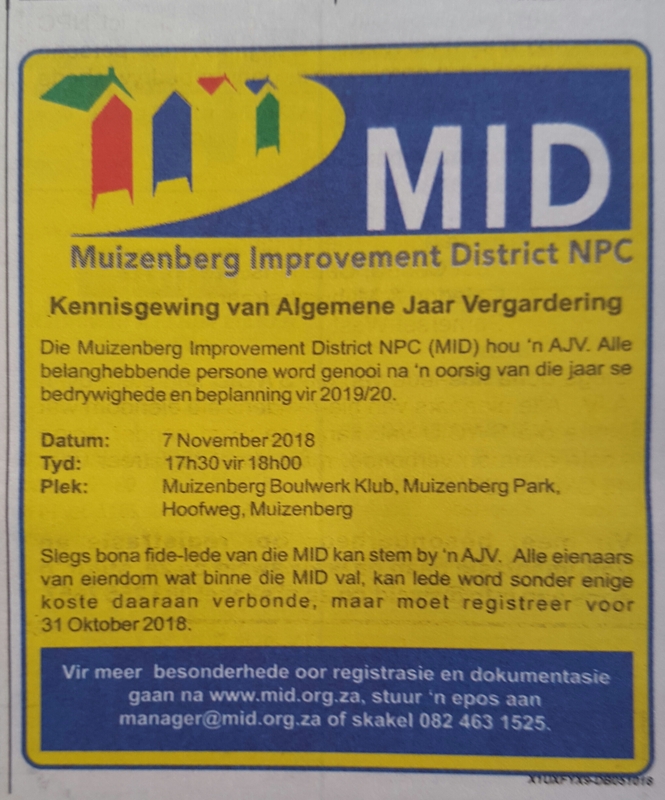 All property owners are encouraged to join the MID so that we can pool our resources and work together to make Muizenberg a safe and attractive place to live, work and surf. Please download the membership application form for private individuals here and for companies here.